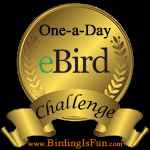 This entry was posted in Birding, Birding News, Blogging, General Birding, Winter and tagged Audubon, Bird Canada, Birdchick, Dawns Bloggy Blog, Geolocators, Redpoll. Bookmark the permalink. Great post Charlotte – lots of interesting things here! Thanks for sharing. I enjoyed reading your Birding News today, Charlotte. Very interesting! I will have to check out those blogs you mentioned. Thanks for sharing!